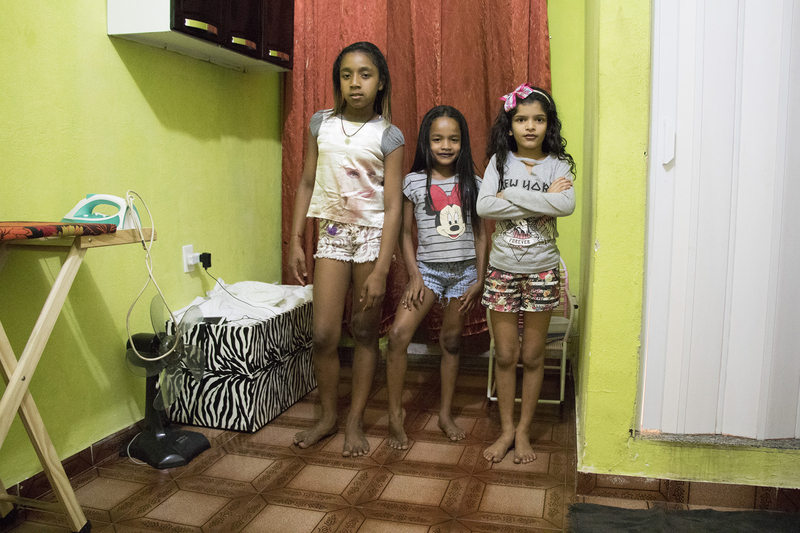 For the project “Intimate Favela,” realized in collaboration with Catalytic Communities,* photographer Antoine Horenbeek was an overnight guest at the homes of individuals and families living in a few of Rio de Janeiro’s many favelas: Morro do Timbau, Vila do João, Asa Branca, Cerro Corá, Guararapes, and Santo Amaro. The project lasted three months, from October to December 2018. 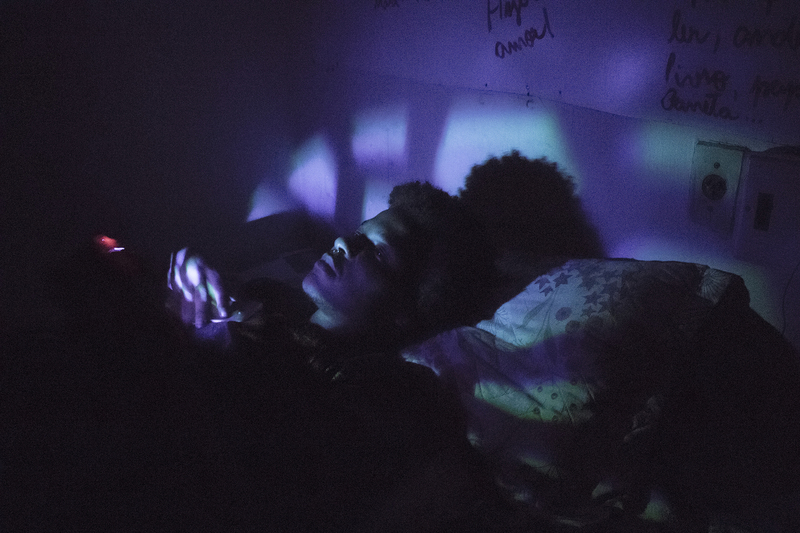 Learn about the motivation behind the project and explore his photographs below. Intimacy, by definition, is opposed to what is public. It is shared with just a few people—a partner, a family member, or a close friend—and is a pathway to our innermost recesses. In fact, photographing intimacy seems contradictory and almost intrusive. So, is intimacy still “intimate” when it is captured on camera and exposed to an audience? 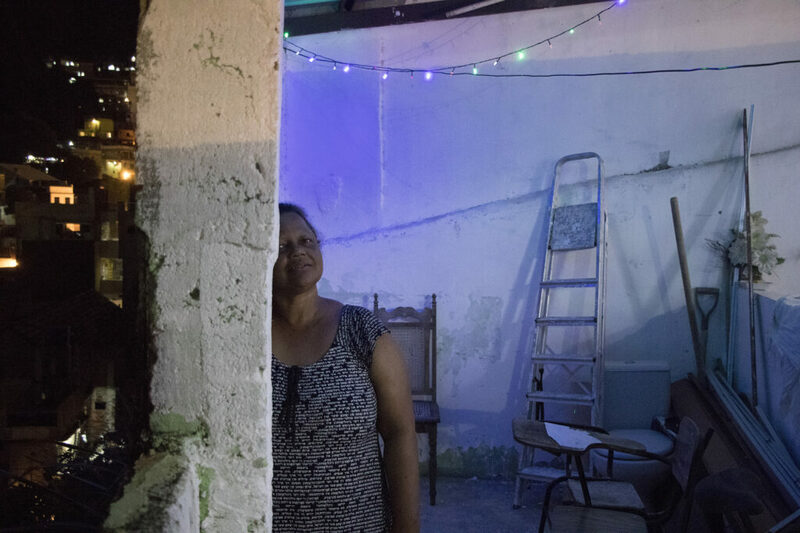 Capturing a glimpse into intimate spaces and moments is what I hoped to do in spending the night with families living in Rio de Janeiro’s favelas. I took photographs of the special moments they agreed to share: simple moments, everyday fragments, portraits, and intimate places. In Brazil, the term “community” is frequently synonymous for “favela.” The notion of community goes hand in hand with that of intimacy. 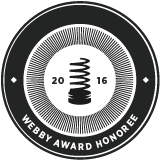 This is evidenced by the living spaces created by residents of Rio de Janeiro’s most densely populated favelas. They build their homes independently and do so to first meet one of the most basic human needs: shelter. Residents’ homes shelter them not only from bad weather but also from the surrounding world—from social and economic injustices and political decisions that exclude them from the city and push them to create and organize in alternative ways in this city. 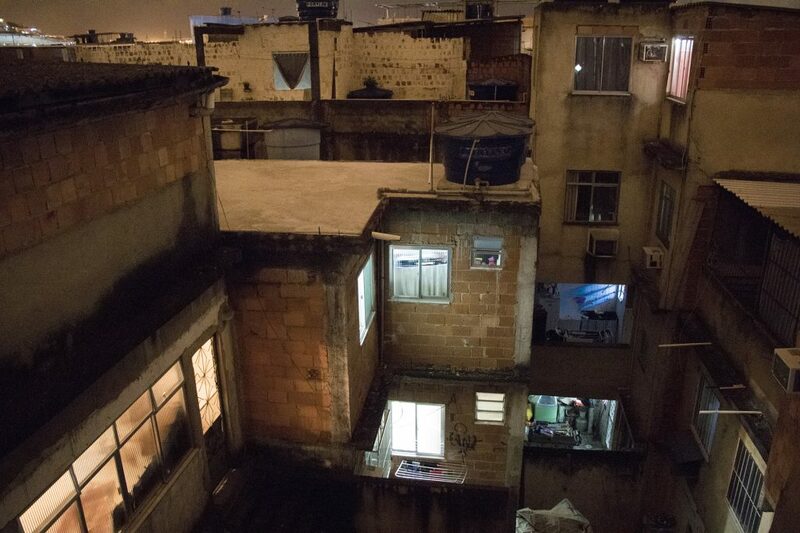 Favela communities—closely linked to the rest of the city—take the form of intimate bubbles. 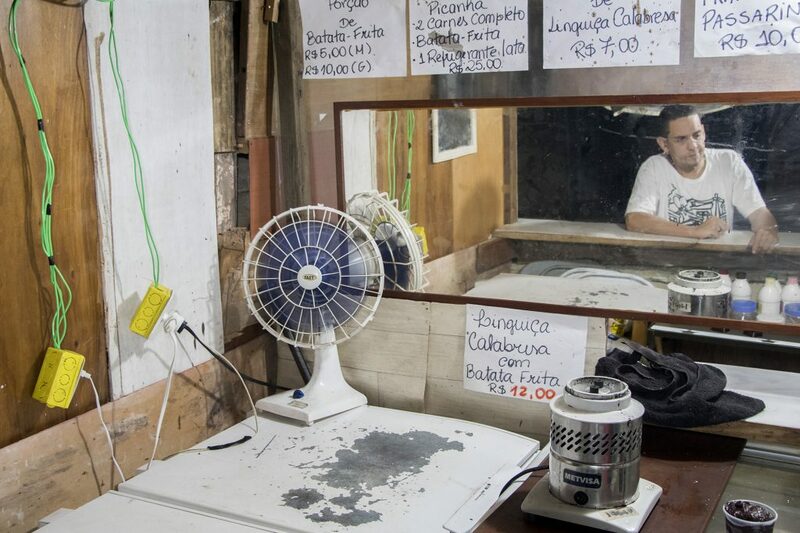 In favelas, close ties are woven by the people who live there. Residents forge and maintain strong relations with their neighbors. In favelas, a collective “village mentality” and the exchange of ideas and resources are often far more important than it is in the rest of the city. Two types of intimacy appear in these photographs: familial intimacy, which is born in and unites members of the home, and communal intimacy, a type of presence that links every home and stretches throughout the narrow and animated streets of the community. These photographs reveal parts of the intimacy of the favela itself—offering a window into daily life in favelas. They hope to demonstrate that it is possible to capture intimacy without opposing (or disrupting) it. Photographing intimacy allows the public to be part of the smaller, tighter, and more restrictive circle of people who usually share in moments experienced by the person or subject photographed. It is an exchange between the photographed subject and the viewer, and the moment is made to last forever as it passes through the photographer’s lens. 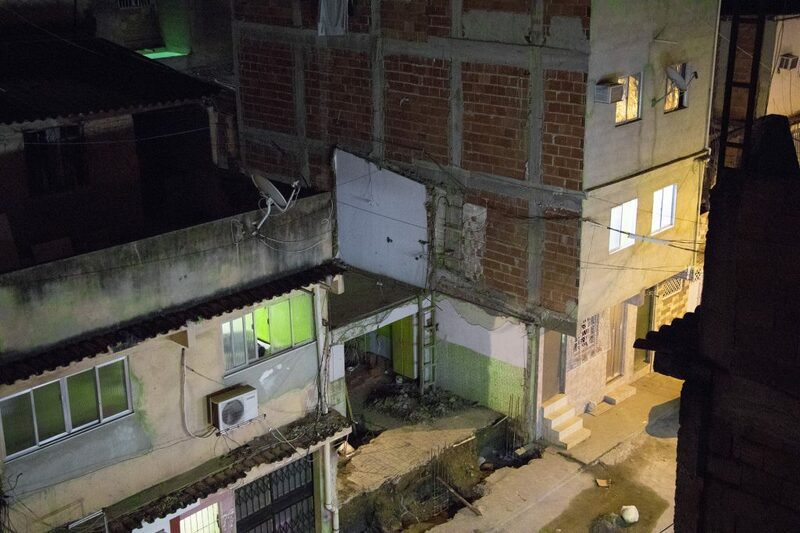 Make no mistake—these photographs are not intended to portray “the reality of favelas,” for that would be impossible. There are as many realities as there are residents. These representations of often unknown parts of our cities will rather help humanize the favelas to us and to the rest of the city of which they are undoubtedly a part. Gabrielle, Maria Luísa, and Carolina during a family celebration in Vila do João, one of the favelas of Maré—a favela complex in the North Zone of Rio de Janeiro. A street in Vila do João. Maré is one of the largest favelas complexes in Rio de Janeiro. 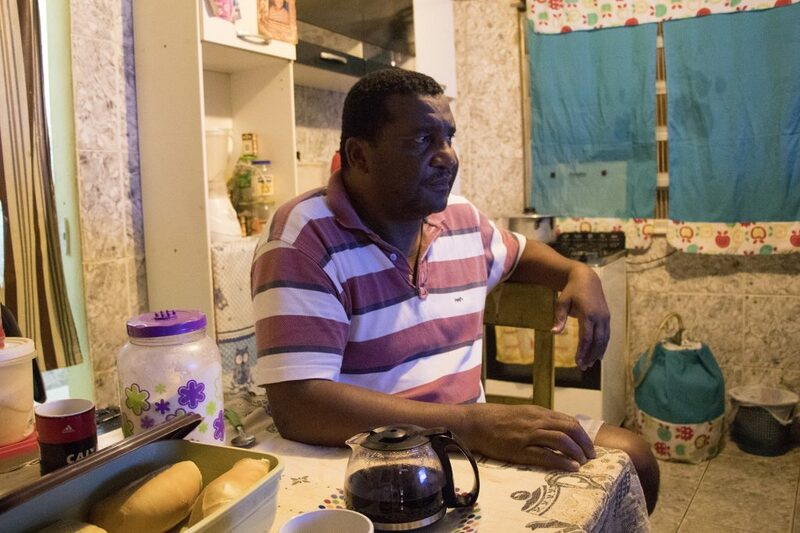 Carlos Alberto, known as Bezerra, in his kitchen in Asa Branca. 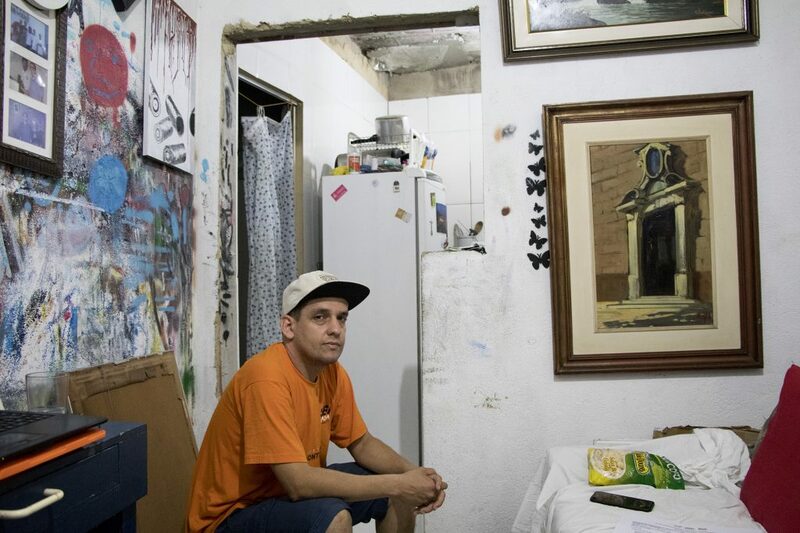 He was one of the first residents of this favela known for its quiet and pleasant atmosphere in the West Zone of the city and has dedicated himself to his community’s development. During his time as president of the Residents’ Association, community members built their own sewage system, pressured city authorities to pave streets and entrances, and worked to promote safety. Inner courtyards in Vila do João, Maré. 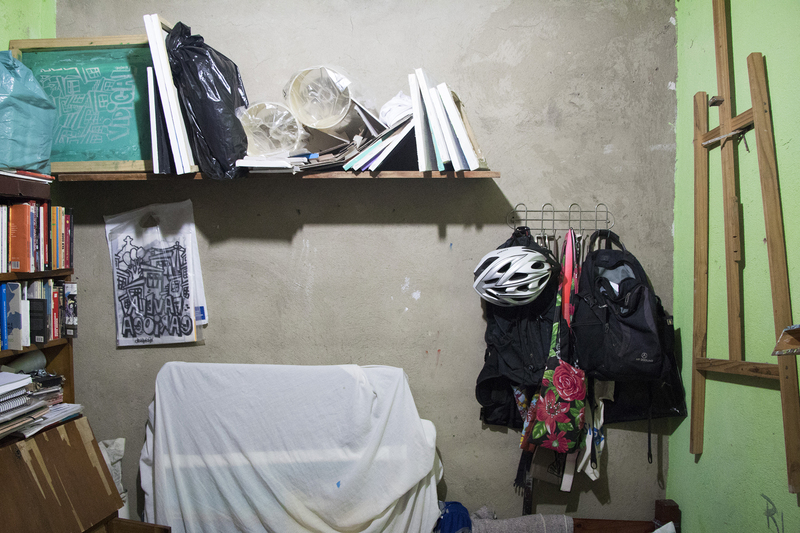 Ricardo, a beloved painter and artist in his community, pictured in his home studio in Cerro Corá, in Rio’s South Zone. He is a member of the Cerro Corá Residents in Movement group, and like many favela residents, is eager to know his community’s history. To do so, Ricardo and other members of the association organized the “Memories of Cerro Corá” museum project to recount the favela’s origin, which was formerly the site of an old farmhouse managed by slaves. Ricardo’s bedroom in the small favela of Cerro Corá. Bezerra, in an inner corridor of the building he shares with other members of his family in Asa Branca. Young people playing a video game in a quiet alley in Cerro Corá. Matheus, on the verge of falling asleep in Morro do Timbau, Maré. Ricardo in a street restaurant and bar in Cerro Corá. An alley in Cerro Corá, a small favela located at the foot of Rio’s famous Christ the Redeemer statue. Cerro Corá is closely linked to the neighboring favela Guararapes. Churrascos, or barbecues, are a real institution in Brazil. 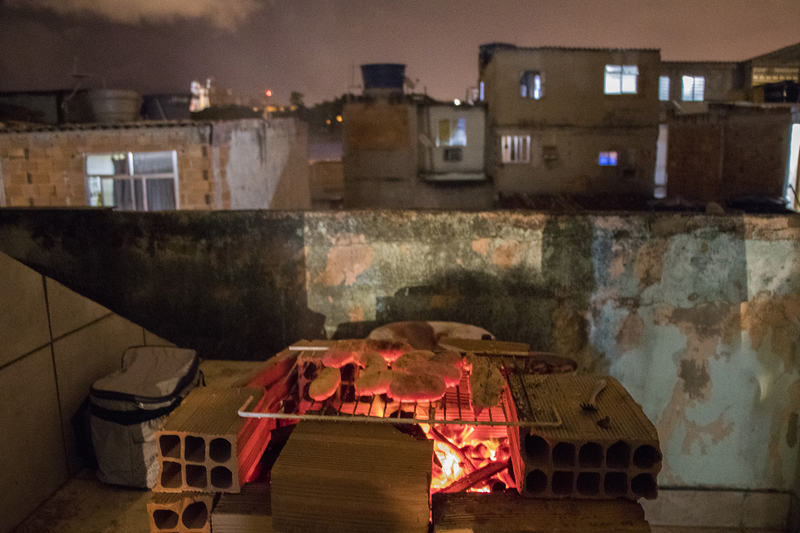 Here, a churrasco is shared by a family to celebrate a birthday on the roof of a house in Maré. 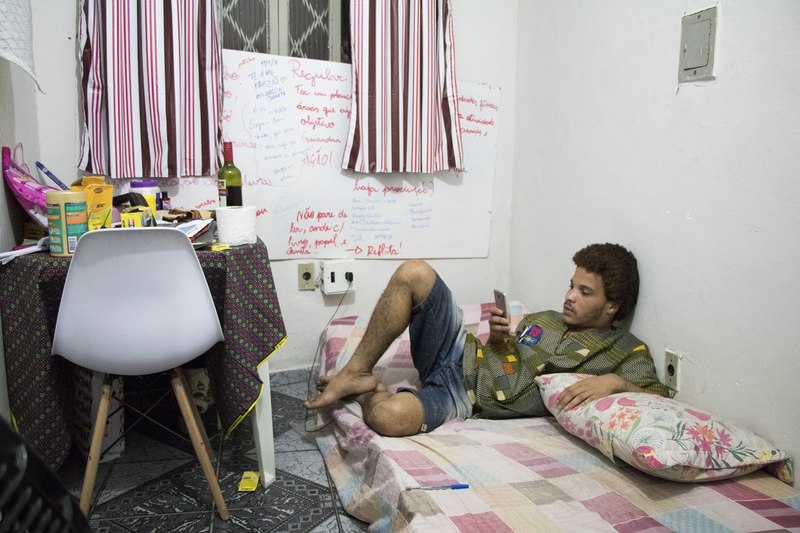 Matheus, a young performing arts student at the Federal University of the State of Rio de Janeiro (UNIRIO), in the house he shares with a roommate in Morro do Timbau, Maré. He is the creator of a performance symbolizing the life and death of city councilor Marielle Franco, murdered on March 14, 2018. The female politician and human rights activist was also from Maré. 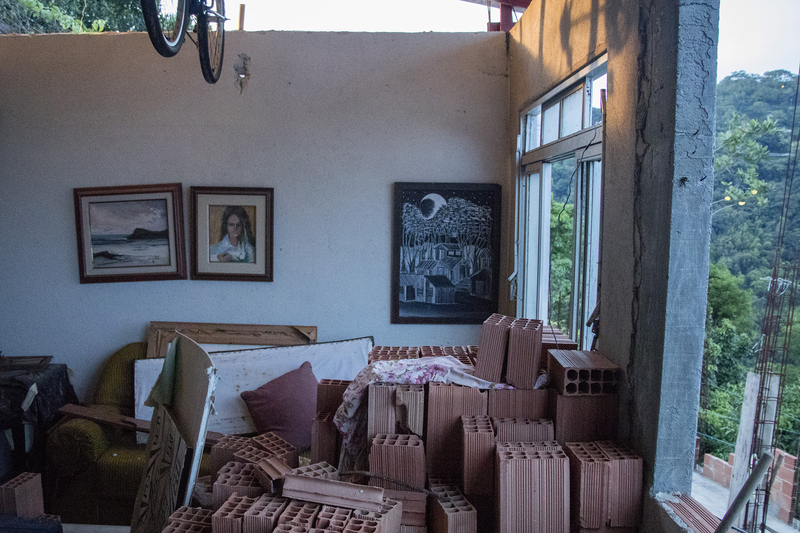 The upper floor of the home studio of Cerro Corá resident and artist Ricardo. 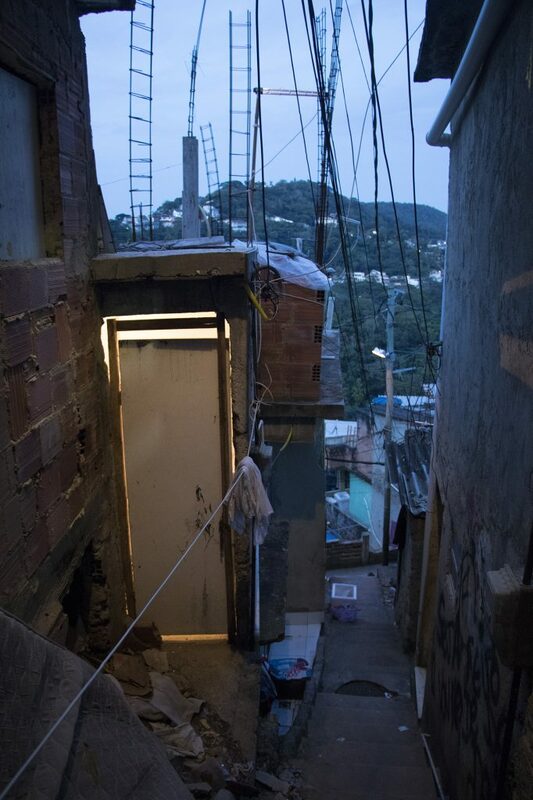 In favelas, it is common to construct additional floors to accommodate family members or expand one’s home. The duration of the construction process can last several years, depending on the owner’s financial means at any given moment. The houses under construction sometimes seem abandoned, but in reality, the construction process is simply interrupted and will resume at a later time. 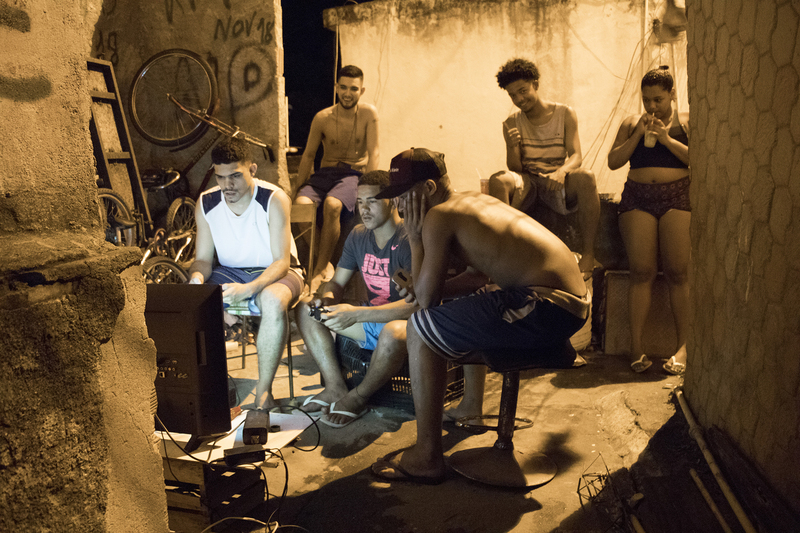 Young people playing video games in an alley of the Cerro Corá favela. 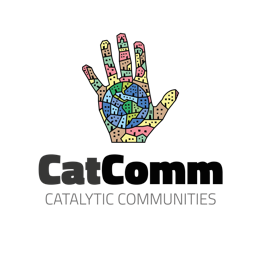 *Catalytic Communities is the organization that publishes RioOnWatch. 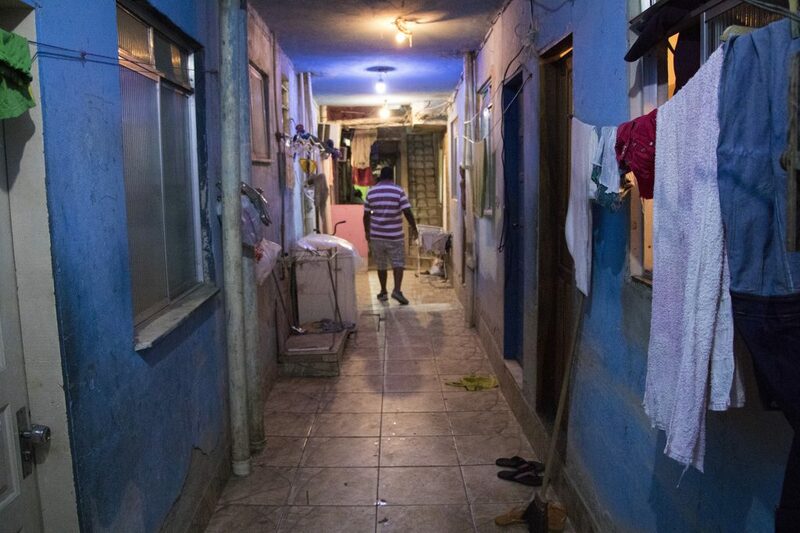 This article was written by Antoine Horenbeek, and published on January 28, 2019.
in *Highlight, by International Observers, Favela Culture, Favela Qualities, Interviews & Profiles, Perceptions, Photo Essays, Understanding Rio, What's a Favela?